الخيار الأفضل للحصول على المتعة والاسترخاء، فندق سكاي سيتي يقع في منطقة رائجة من أفضل مناطق المدينة. يمكن من هنا للضيوف الاستمتاع بسهولة الوصول إلى كل ما تقدمه هذه المدينة النابضة بالحياة. إن سهولة الوصول من الفندق إلى المعالم السياحية الشهيرة الكثيرة في المدينة هو استثنائي بحد ذاته. يعمل فندق سكاي سيتي على ضمان إقامة مريحة لضيوفه من خلال خدماته الممتازة وحسن ضيافته. يقدم هذا الفندق العديد من الخدمات الكفيلة بإرضاء أكثر الضيوف تطلباً. تتضمن كل غرف النزلاء وسائل الراحة والتسلية المصممة خصيصاً لضمان الراحة القصوى للضيوف. صممت خدمات الاستجمام في الفندق والتي تتضمن مركز للياقة البدنية, سبا, تدليك لمساعدتك على الاسترخاء والراحة. يشكل فندق سكاي سيتي بخدماته الراقية وموقعه الممتاز، قاعدة مثالية للاستمتاع بإقامتك في المدينة. يجب أن يكون النزلاء دون سن 18 سنة بصحبة مرافق يزيد عمره على 18 سنة. يطلب العقار مبلغ تأميني مسترد عند تسجيل الوصول. يمنع منعاً باتاً اصطحاب الحيوانات الأليفة في هذا العقار. هذا العقار لديه سياسة حازمة بمنع إقامة الحفلات. يتم تقديم وجبة الإفطار بنظام البوفيه في مطعم "أنديز برجر آند بار" من الإثنين إلى الجمعة، وفي مطعم "فورتشونا" من السبت إلى الأحد. تُفرض رسوم على الأطفال الذين تتراوح أعمارهم بين 4 و9 أعوام بقيمة 10,90 دولار نيوزيلندي لوجبة الإفطار في اليوم الواحد. تُفرض رسوم على الأطفال الذين تتراوح أعمارهم بين 10 أعوام و14 عامًا بقيمة 13,90 دولار نيوزيلندي لوجبة الإفطار في اليوم الواحد. We stayed a couple of nights here and enjoyed our stay. The room was large and clean with good amenities .the shower was disappointing with low pressure but otherwise we were happy with our room .we ate at the sky tower which was excellent value ,we had the 80 dollar 3course option and the food was lovely. The wine was good too with excellent service. The views were excellent you could see out to the islands and across all of Auckland, not to be missed! I really enjoyed my stay here. The location was perfect for our trip. We were staying a couple days in Auckland before going on a cruise and wanted to explore the city a little. We bought Hop On bus tickets and the stop is right at the hotel so after a long day of exploring we were able to drop off right at the door step. The staff was fantastic. Everyone was very professional and helpful. One of our travel companions lost their luggage and they even helped us to track that down. My only complaint was that we were so far from the lift. I’m sure they would have allowed a move if I asked but I didn’t bother. If I stayed again I would request in advance for something close to the lift. Other advice I can offer is if anyone in your group smokes ask for a room in h1. They have a nice outdoor courtyard in the center some of the rooms even have balconies that open to the courtyard. Awesome place right in front of the Skycity Tower. The place also is surrounded by everything from grocery, to restaurants and even massage place. The hotel itself is clean and staff were friendly. If you are catching the Skybus from airport to town, be mindful that you will have to walk uphill to the hotel from the Skybus' last stop - not great if you are carrying heavy bags. Otherwise, my stay at Skycity was great! Stayed two nights and was really impressed with the service from staff. 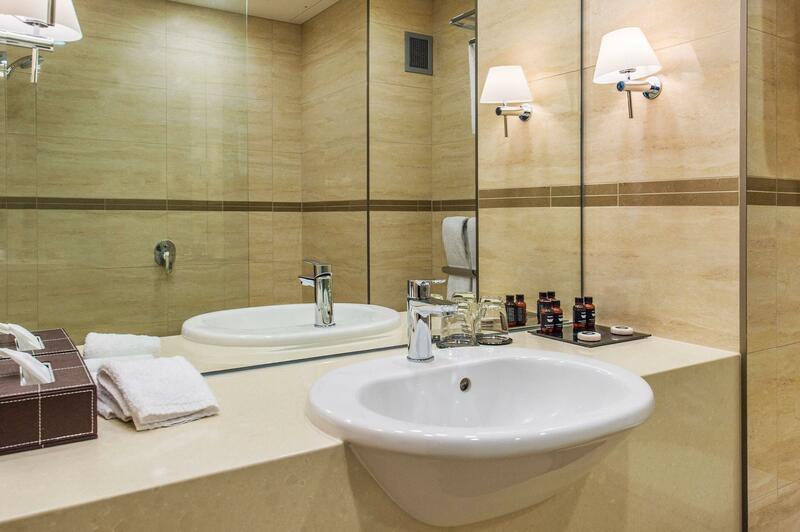 The room was clean and beautifully presented and the hotel is centered right in the heart of town. Would definitely stay there again. The hotel was very close to lots of restaurants, stores and groceries. However, our room was located far from the elevator and we did not have a view of the beauty of New Zealand. Although, our overall experience was very pleasant. The location of the hotel is great! It's in the central of CBD area and walking distance to shops. Convenience store is just few steps away. Room is spacious and clean. Concierge manager is not too friendly or helpful. We had a better services at Motels we have stayed previously. 1. The staff are very helpful. 2. Location is great. 3. Room is big, spacious and clean. I'm glad i booked this hotel. The location is perfect. No need to take any public transportation, you can just walk to find a place to eat or for shopping. The staff are very very polite and helpful. One of the best hotel i've ever been to. Had a lovely four days in Skycity. Always nice as a solo traveler to be somewhere where everyone is friendly and the service is good. A must do is the Orbit resturant, although it was busy, the food was lovely, nicely served with a good choice of menu. Well worth the money and the view was second to none. 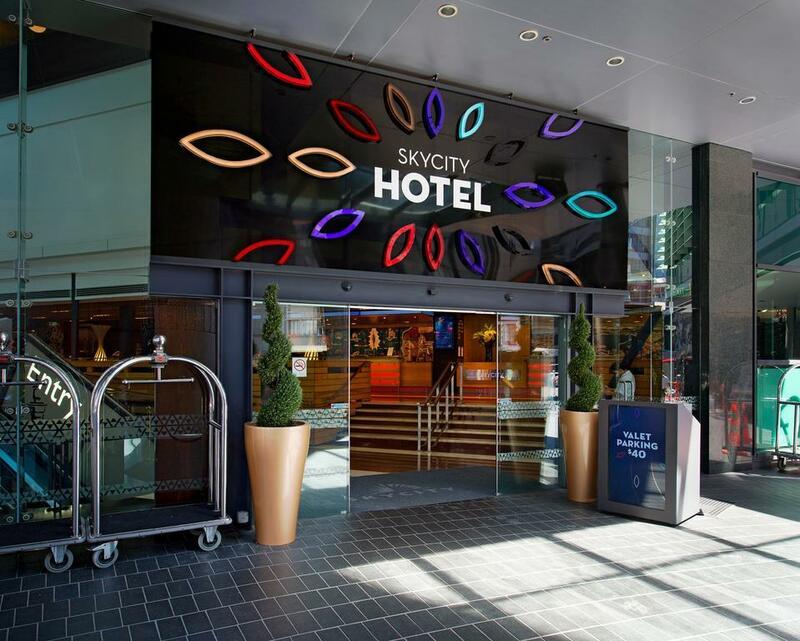 I had thought I had booked into the Skycity Grand but wasn't too disappointed as the room was comfortable and your still able to use all of the facilities of the grand and charge them to your room...the spa treatments were also really nice. Would certainly stay here again. the location was great but the parking per day was expensive. they should give hotel guests free parking for staying at their hotel. the buffet breakfast is shocking!! definitely not 5 star hotel standard. no cooking station for hot food like omelete.. no salad.. coffee was bad. i would skip breakfast if it isn't included in the price. Awesome, everything was at finger point. Had a great time...Will make this a more regular event...Staff very good, facilities very clean.... great bonus was valet and parking..def will be doig this again. Enjoyed the stay, great facility and a real break for me. At the end of my stay, my swipe card didn't work for lift and room had to back at least five times asking for help. A bit tiring and not a nice way to end. The location is perfect for us, very central. It’s situated right next to Sky Tower and surrounded by a variety of eateries ( fine dining to casual within or across the hotel), hop on and off bus stop is just situated adjacent to the main entrance. Perfect for those family that are always press for time to feed kids and rush for sightseeing or off to a road trip. And the room configuration and size is really spacious for a young family with comfortable bedding. The reception staffs are helpful and friendly particularly David who helped to mind my toddler when I need to fill up the forms. And thanks for offering kids gift pack, kept him entertain while we unpack in the room!